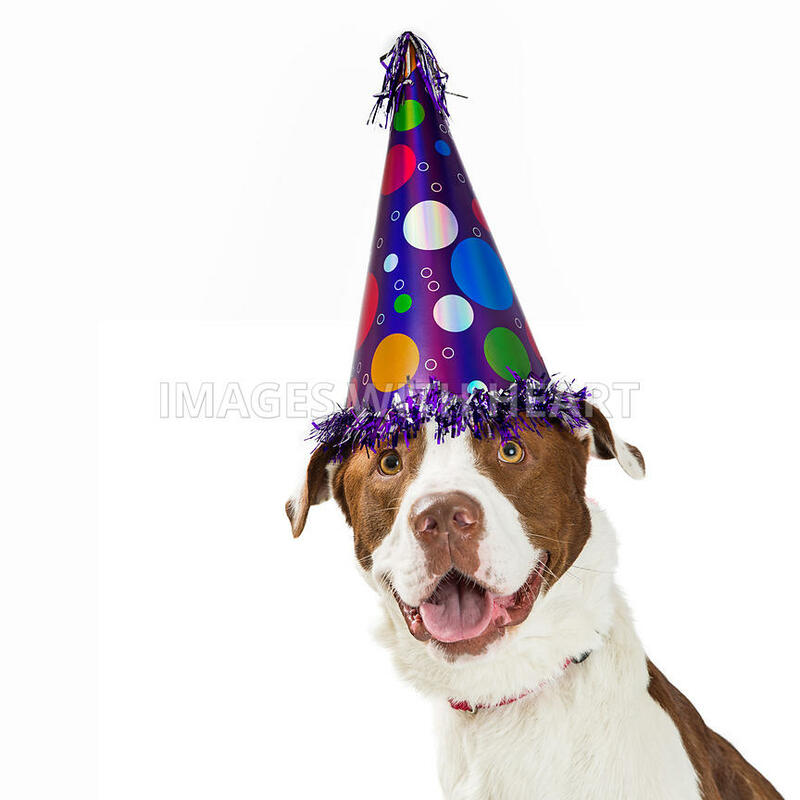 Happy dog wearing a purple birthday party hat. Isolated on white with copy space. Images with HeART is a multifaceted stock imagery project of HeARTs Speak, merging the promotion of pet adoption with a sustainable and ethical platform for artists to license their work.